Usually beef cheeks take 4-5 hours to full braise and turn into the tender, intensely beefy cut that people flock to in the winter months. 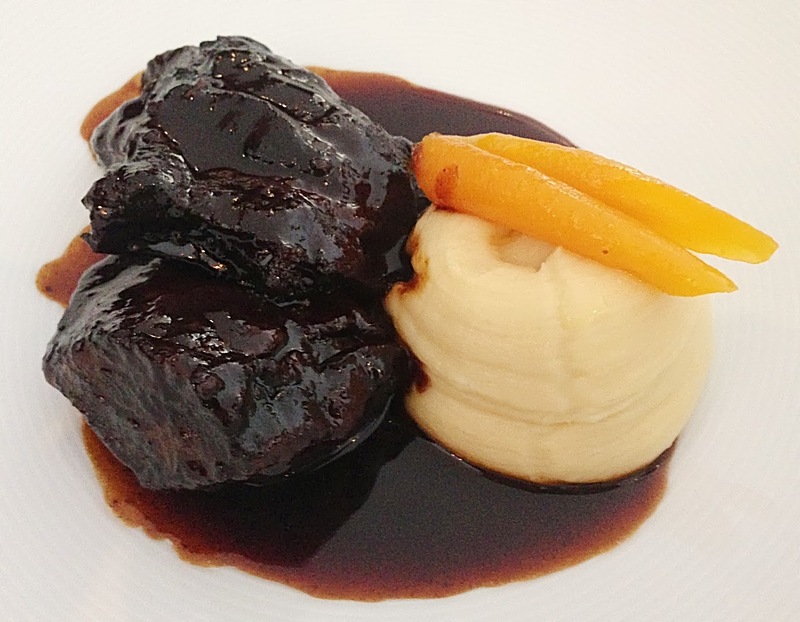 We are really proud to offer our slow cooked beef cheeks as part of our winter range. They will take 4 hours out of the cooking process and give you an amazing product. Use them any way you like, but below is my simple recipe for red wine beef cheeks! 2. bring a pan to high heat on the stovetop and add a good glug of olive oil and the diced onion. When translucent , add 2 whole peeled garlic cloves, 2 sprigs rosemary and 2 sprigs thyme. 5. place in oven @180 Celsius , uncovered, for 25 mins, turning the cheeks over at half way. 6. Remove from the tray and serve with as much or as little of the red wine reduction as you like!